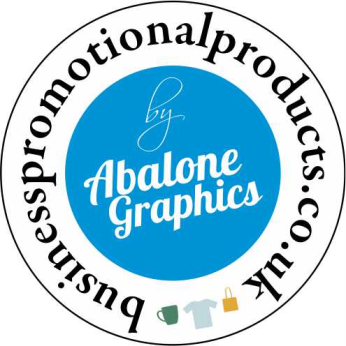 Ordering with us is very straight forward, contact us by email or call us on 01782 479322 to let us know the quantity and kind of badge you require, we also will need you to email your artwork (logo, names etc) to feature on the name badge. We will then email you with a visual proof and quotation for your name badge/badges for approval. Once you confirm that you are entirely happy with your name badge or badges we will issue an invoice and secure payment link and upon receiving payment of this, your badges will be produced and dispatched to you. We accept payments by debit card, credit card, direct bank transfer, and cheques. How much are your postage and packaging costs? What if I need my badges urgently? Due to demand, we now offer a priority fast track service where we will produce your badges as a priority, this service is available across all our badge ranges and is priced at £10 for 1 – 20 badges and £20 for 21 or more badges. Just let us know when you deadline is and we can discuss the options available with you. How do your prices compare to other UK name badge suppliers? We actually manufacture name badges rather than just supply, so not only are we extremely competitive on price we are extremely flexible with no minimum quantity and no set up fees. It has never been our intention to be the UK’s cheapest supplier of name badges (although we keep being told we are) we simply strive to be UK’s premier supplier of quality name badges. 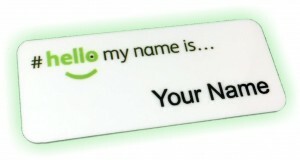 Do you only produce magnetic name badges? No as well as magnetic name badges we can also provide all of our name badges with a traditional pin fixing if this is your preference, simply let us know when ordering and you can still have the same high quality name badges with a pin fixing. Yes we are a UK based VAT registered company and all our online prices are exclusive of VAT, all name badges will be supplied with a company invoice showing VAT separately. How long does it take to get our badges? Once we have received your approval and payment we will produce your name badges and you will receive your name badges within 3-5 working days for our standard plastic name badges or metal name badges and 7-10 working days for our domed name badges, if you have an urgent deadline, please call us to discuss and we will do everything in our power to achieve it. What format can I send our logo/artwork to you? We accept artwork in a variety of formats including PDF, CDR, AI, High Quality Jpeg and PNG Files if your artwork is in another format please contact us to see if it is acceptable. We will inform you if we feel that the artwork you have provided is unsuitable and let you know if it needs redrawing and the cost to do this. Can my name badges feature individual names and job titles? Yes all our name badges can feature individual name and job titles and this individual personalisation is included within our prices. We do request that you supply this information electronically, and preferably as an excel spreadsheet if possible, as this helps to ensure there are no spelling errors.